We've improved the drag-n-drop operation indicator (yellow — “move”, green —“edit”, red —“delete”). We've improved canceling drag-n-drop by pressing the Esc key. Screen updates when several users are working online on the same project or multiple windows are opened by the same user have been improved. 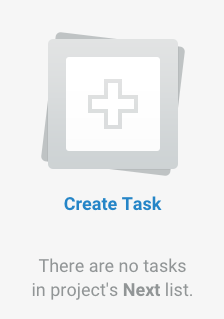 Now you can create a new task right from the list if it is empty. We've fixed integration with Google Drive when you don't have any folders. We've also fixed the stability issue of concurrent changes for a task priority. You are welcome to try out the drag-n-drop function!